All of your medical surveillance testing done in one place at one time! 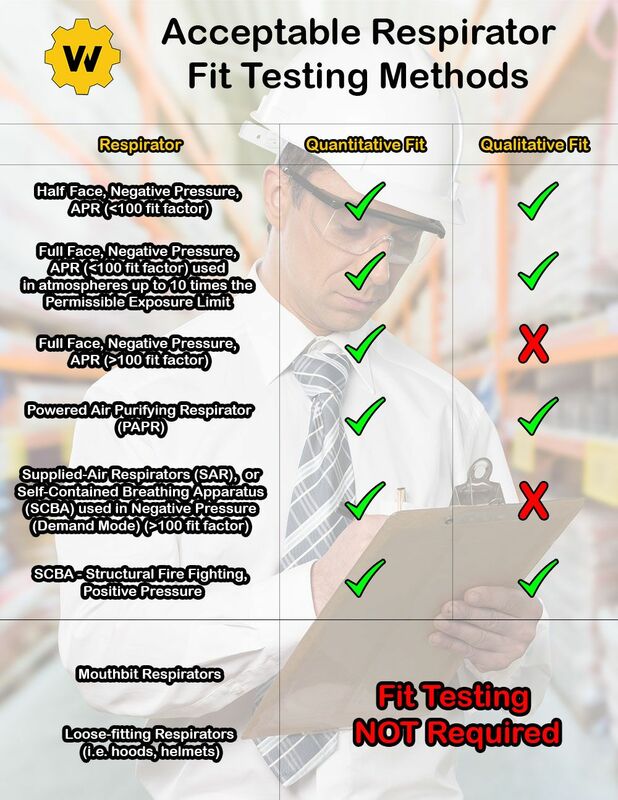 1) Qualitative Fit Test – a non-numeric pass/fail test that relies on the employee’s sense of taste or smell, or his/her reaction to a substance (test agent) in order to detect leakage into the respirator facepiece. 2) Quantitative Fit Test – utilizes a machine to measure the amount of leakage into the facepiece, instead of relying on senses.